What is the mission of the LCCTA? When and how was the Lee County Community Tennis Association (LCCTA) founded? Other than the board, who else works with the LCCTA? Where are the Lee County public tennis courts? What are the guiding principles of the LCCTA? What is the relationship between LCCTA and the Lee County Parks and Recreation Department? What is the relationship between LCCTA and the United States Tennis Association (USTA). What goals guide the work of the LCCTA? What hours are the courts open? In 1995 Bill Fous wrote a grant proposal for funds to start free children’s tennis lessons in Lee County, Florida. Bill was then Director of Tennis at Fiddlesticks Country Club. Along with other local tennis professionals he established the Lee County Community Tennis Association (LCCTA). Thanks to Bill’s love of tennis and his interest in children, the LCCTA provided after school tennis lessons to inner-city and rural children at four sites in the county during its first year. In 1997 the LCCTA was incorporated as a 501(c)3 non-profit corporation, which is governed by a volunteer board of directors. LCCTA contracts with an Executive Director who oversees operations on behalf of the board of directors. 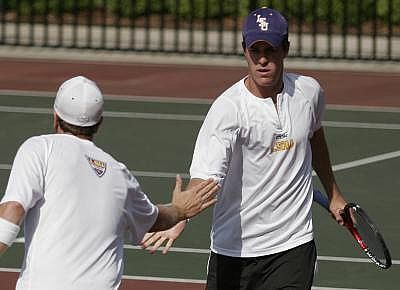 LCCTA also contracts with tennis professionals who provide direct service to the players in the public parks. Courts are available at 15 locations. (Click here for Map/Directions). Assure access and affordable programs to all players regardless of race, age, gender, culture, income or physical abilities. Continuously improve programs and operations through the use of quality management principles and practices. 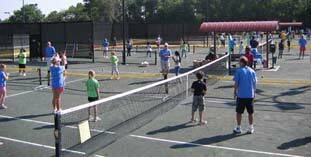 Since 1999 LCCTA has provided all programming on the Lee County public tennis courts, including lessons, clinics, tournaments, and special events. As a USTA affiliated Community Tennis Association, the LCCTA enjoys the support and services of USTA and USTA Florida. Both have been instrumental in the growth of tennis in Lee County. The LCCTA Strategic Plan sets forth ambitious goals for program development, membership, fundraising, board development, donor and volunteer recognition, and community outreach. All courts are available from 7:00 am to dusk, except on those courts that are lighted which are open until 9:00 p.m.